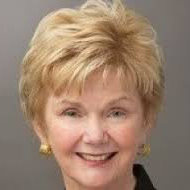 Marcia Boyle is the founder and was for many years the president of the Immune Deficiency Foundation (IDF), our member organisation in the US. Marcia is now also the winner of the 2018 IPOPI LeBien Award. Marcia is the mother of an X-Linked Agammaglobulinemia patient and a pioneer in advocacy and patient information for the primary immunodeficiency (PID) community. Marcia, who is an inspiration for many PID advocates, has been involved with IPOPI since the early 90’s. In this interview she shares a bit of her personal life prior to the diagnosis of her son John and the challenges she considers to be most pressing for the PID community. Question: You were recently awarded the LeBien Award by IPOPI. 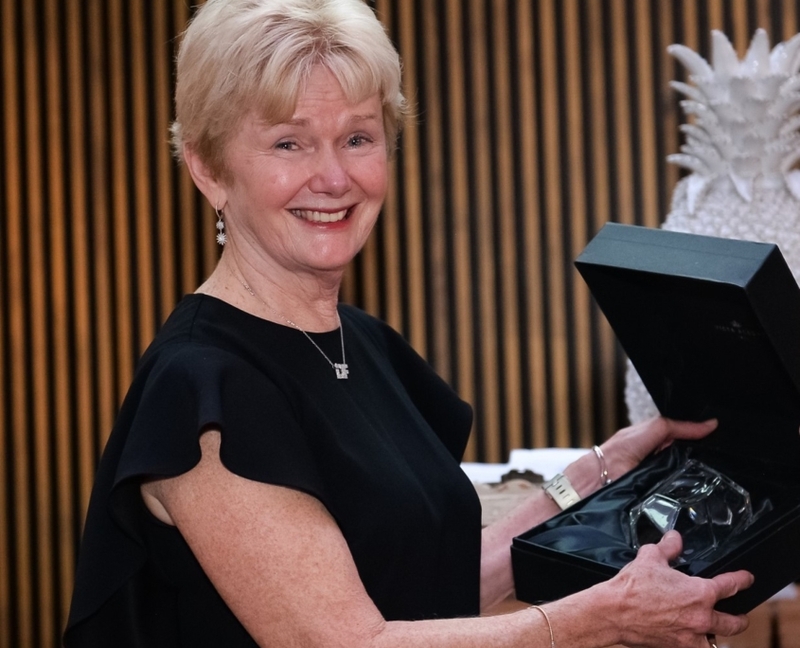 After being recognised for your work as a PID patient advocate by former US president Obama and by other patient organisations in the US, what did this award mean to you? Answer: This award is an incredible honor, which I would like to consider as an affirmation of my peers, the wonderful people worldwide who are motivated to improve the lives of people with primary immunodeficiency diseases (PID). 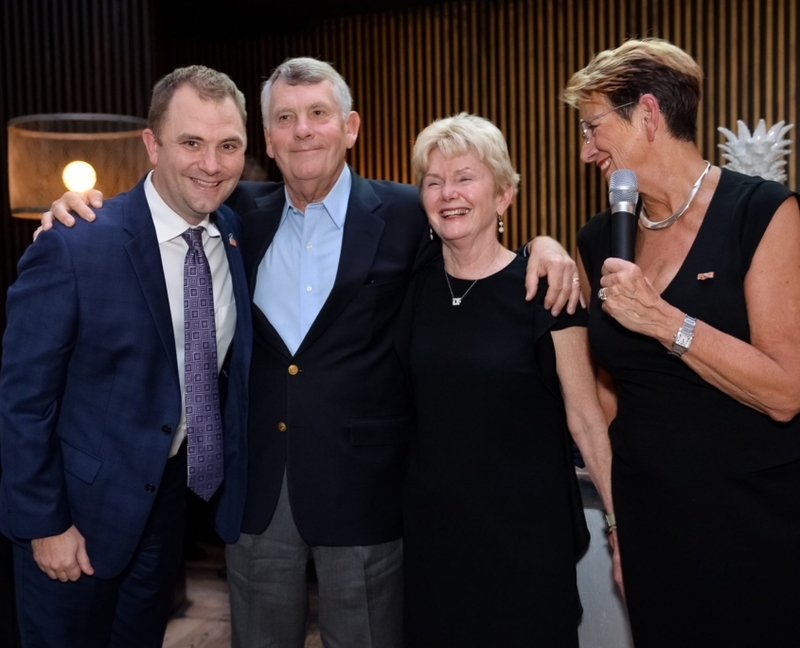 It’s also an honor to receive the award named for Bob LeBien, who has been a dear friend and inspiration to me since the early 1980’s, as well as responsible for founding IPOPI. It’s exciting that the original vision my husband, John, and I had in 1980 for a patient advocacy organization for the primary immunodeficiency diseases (PID) has blossomed so much in the U.S. and worldwide. I feel that this award is the culmination of my career. Q: How was your life before IDF? A: Before our son, John, was born, my husband and I thought we had our lives figured out. He was a university professor and I was a librarian. We lived in New York, where I was a librarian with Reader’s Digest, and John was at Columbia University. He was offered a faculty position at the University of Maryland, and when we moved, I was pregnant, and planned to start working again after my son was born. Then, at the age of six months, our son was diagnosed with x-linked agammaglobulinemia (XLA), and life changed completely. We knew we had to learn to be parents who both protected him, while at the same time ensuring he would lead as normal a life as possible, and not be defined by his diagnosis. Q: When did you first suspect there was something wrong with your son John’s health and what steps led to his diagnosis? A: John was diagnosed relatively quickly, as he presented with a very severe infection. When he was six months old in 1978, he started to lose weight, and then developed a bad cough. I quickly brought him to our pediatrician, who listened to his respiration rate, and told us to immediately bring him to Johns Hopkins Hospital, where specialists would be ready for him. We lived in the Maryland suburbs for only a few months and had never been to Baltimore, so this was a frightening experience all the way around. We quickly were seen in the emergency room, and John was admitted. During a 6 week hospitalization, we learned he had pneumocystis, which only occurs in a person with a compromised immune system. We had to wait to find out whether he had XLA or Severe Combined Immune Deficiency (SCID), which I knew about because of David, the Boy in the Bubble. He underwent a lung biopsy, was in pediatric intensive care for two weeks, and then we learned the good news that he had XLA. In those days, there would not have been a treatment for SCID, as he had no siblings for an exact tissue match for a bone marrow transplant. As it turns out, we were very fortunate to live close to Johns Hopkins, which had specialists that understood PID. Q: It is well known that IPOPI’s founder, Bob LeBien, was very important also in the founding of IDF. How did you meet Bob? A: Bob lived in California and got in touch with IDF in the early 1980’s to make a donation, as his son, Mike, also had a PID, and he had heard about IDF from his immunologist. Bob and I started talking, I asked him to join our Board of Trustees, and was delighted that he accepted. He served for many years as vice president of IDF, and was a mentor to me, with his extensive international business experience. In fact, he stepped off the IDF Board only a couple of years ago. He and his wonderful wife, Sara LeBien, became very active in IDF, and Sara was motivated to write IDF’s charming book for children, “Our Immune System,” now translated into numerous languages. I introduced Bob to Dr Helen Chapel from the UK. During one of Bob’s trips, the two of them got together in London and Bob started talking about replicating IDF internationally. Helen was organizing the EGID meeting in Oxford, England in 1990 and invited Bob to bring together patients from other countries to have a concurrent meeting with the physicians. I was fortunate to attend this amazing first international meeting of patient leaders. Q: You finished your mandate as an IPOPI Board Member in 2016 and you recently retired from your role as IDF’s president. Can you share two remarkable moments from your long career as a patient advocate? A: So many things have happened in the last 38 years, that it’s difficult to name just two! The first one that comes to mind is that meeting in Oxford, England in 1990, when we had the first gathering of patient leaders from around the world come together and agree that we should work together. I learned so much from what other countries were facing, and realized we were not alone with our struggles in the USA. We all came away energized that together we could make an even greater difference for our group or rare diseases. This meeting, of course, led to the founding of IPOPI in 1992 in Lugano, Switzerland. On July 8, 2015, I was named a White House Champion of Change in Precision Medicine. During the program in the Eisenhower Executive Office Building, adjacent to the White House, I participated in a televised panel discussion and had an opportunity to discuss the importance of programs for PID to a national, and even international, audience. The meeting was attended by the Secretary of the US Department of Health and Human Services, and the Director of the National Institutes of Health, as well as many other officials. I was overwhelmed by the outpouring of appreciation from the PID community that our group of rare diseases had received such recognition and attention. From my kitchen table in the early 1980’s, I never imagined how much we could accomplish. The existence of strong national patient organizations and a strong IPOPI advocating for improved diagnosis and treatment is essential. Q: How did you and your husband react to his diagnosis as an XLA patient? A: First, we were relieved to learn that he did have XLA, and that there was a treatment, immunoglobulin replacement therapy (IG therapy), although in those days it was administered intramuscularly and very painful. Although it was devastating to be told that our son had an immunodeficiency, we knew his diagnosis was good news considering the alternative. We knew we had to learn to be parents who both protected him, while at the same time ensuring he would lead as normal a life as possible, and not be defined by his diagnosis. By the time he was three, John was attending nursery school. In the meantime, I had been doing research on patient and family educational information, and was distressed to learn there were no materials on PID, nor was there a patient advocacy organization in the United States. In 1980, I started to talk with John’s immunologist, Dr Jerry Winkelstein, met people from other patient advocacy organizations, and started efforts to create a national patient organization for all PIDs. In December 1980, my husband and I were joined by Dr Winkelstein and two other parents, and founded the Immune Deficiency Foundation (IDF) as the national patient advocacy organization for PID in the United States. Although we couldn’t do the medical research to improve our son’s condition, we felt we could help him by creating an organization that would help patients and families through education, advocacy and research. I’ve been very gratified to look back and see the many patient educational materials and programs, advocacy efforts and research that have been developed by IDF. Q: What are in your view the main challenges ahead for the PID community? A: PID represents a group of rare diseases, many of which require expensive therapies. We are fortunate that there have been many recent improvements in the understanding, diagnosis and treatment of these disorders. Newborn screening for SCID is saving lives in some countries, but not all. Bone marrow transplantation and gene therapy are improving dramatically and becoming increasingly effective for more PID diagnoses. Gene editing and other new and improved therapies offer hope for PIDs over time. And, IG therapy continues to improve and offer new forms of administration. At the same time, governments have to deal with increased demands for finite resources. Many PIDs are difficult to diagnose, not enough primary care clinicians are aware of them, and most people have never heard of them. Even in developed countries, access to specialists and the best therapies can be problematic. In many developing countries, the specialists are few and far between, and support for therapies can be non-existent. In such a scenario, the existence of strong national patient organizations and a strong IPOPI advocating for improved diagnosis and treatment is essential. The PID community cannot become complacent, either nationally or internationally, because without their advocacy, PID patients and families are at risk of not being a priority. Continued education of physicians, governments, patients, families and the general public about the importance of diagnosis and treatment for these rare diseases is essential. The good news is that more people are being diagnosed worldwide with antibody deficiencies, many of whom can lead productive lives with appropriate therapy. At the same time, IG therapy is increasingly being used for other disorders. There is a real concern that the plasma supply will not be sufficient to meet the increased demand. The USA, as an example, supplies the majority of the world’s source plasma, but to cover increasing demand, all countries need to prioritize plasma availability and IG therapy for PID.